I like Hewlett Packard for their whole range of products including their network printers. Nowadays it is almost difficult to get a printer that is NOT network ready… but for a nice stable network without to much collisions and traffic towards those network printers, there are some features that you might want to close down on those printers. Hewlett Packard and other manufacturers support several protocols on their network interface. To reduce traffic you can close down all that you don't need for your network. The TCP/IP protocol is the most widely used for all kind of networks so you will keep that running. If you are not running and Novell or Apple based network you can disable their respective protocols IPX/SPC and Appletalk. 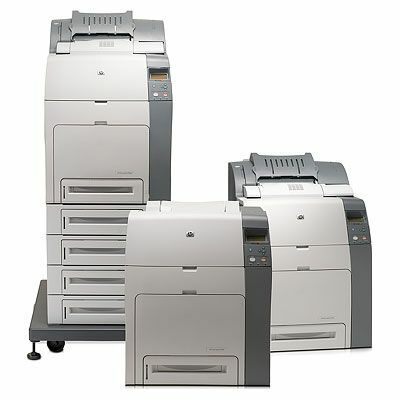 Have your printers installed on a separate print-server with enough free disk space to make sure the processing of the print job will not be hindered. if you need to you can assign the spool directory to a different disk than the default c: drive on the server. Name you printers so you can recognize them, but keep the names short and without blanks for installation purposes. You can give more information about the location of the printer in the seperate comments field on the server where you installed the printer and its driver.